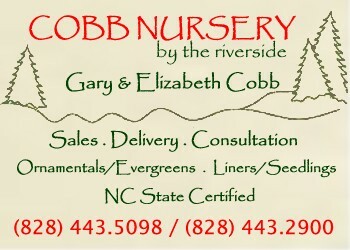 To make sure someone is at the nursery to help show you around and answer questions, please call 828.443.5098. We look forward to working with you! To better serve you, Please call us before coming. We welcome your visit.